While most of South Carolina is dominated by fishing for warm water species a portion of the Upstate offers anglers an excellent chance to catch trout. Dozens of rivers, creeks and lakes are stocked frequently with rainbows, browns and brooks. In fact, so many streams in the vicinity of Anderson, Clemson, Seneca, Greenville and Spartanburg are planted with trout that it can be a chore to decide where to wet a line. 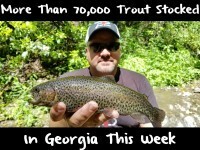 After phoning the South Carolina Department of Natural Resources in Clemson it became obvious that the Chattooga River near Burrells Ford Road was the most heavily stocked and fished section in the region. 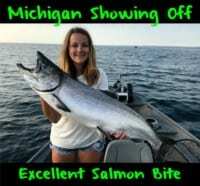 Having come from the Western US to sample the fishing in the region we didn’t want any secret info, perhaps to be sent to fish with the masses. Only then could we put our Balls O Fire salmon eggs to a true test. Even though we fished on a Monday afternoon there was still many anglers on the river. Traversing the Georgia/South Carolina border this system receives a tremendous amount of pressure from trout anglers residing in both states. 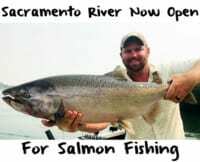 In fact, you can fish the river with a license from either state. Both states stock it, too. Fortunately, there’s enough trout planted to accommodate the pressure. Meanwhile, when we arrived it was obvious that the weekend crowd hit the fishery hard. The trout remained skittish and weren’t feeding actively. For those of you who haven’t fished this beautiful system in the Sumter National Forest, it averages 60 feet wide in this area and has some enormous, deep holes, long runs and large riffles. This isn’t your typical small North Georgia or mountain South Carolina stream. It’s large and holds a mind-boggling amount of rainbows, browns and brook trout, even in this heavily fished area known from the Burrells Ford Bridge on downstream through Burrells Fork Campground. Keep in mind, we only fished this section from the bridge on downriver through the campground, roughly covering two miles of water, max. We caught roughly two-dozen trout, mostly rainbows, and nothing larger than nine inches. We didn’t catch a single brown, but did catch three brook trout. However, we did see a few browns in deep holes that pushed five pounds. According to fisheries folks we spoke with at the SC-DNR the planted trout are a little on the smaller side this year. They aim to plant mostly nine to 12 inch trout and some larger fish, too. Meanwhile, an abnormally cold winter kept trout from growing at normal rates. In addition, two of the raceways used for trout rearing are under repair, meaning overcrowding in the others likely played a part. The SC DNR believes planted trout will regain their normal stocking length in the next month or two, but admits some smaller trout are being planted currently. Fortunately, trout are still being planted and are readily available now to anglers targeting this area. In fact, catching dozens of fish each day isn’t out of the question for angers with the right bait and light line. Keep in mind, this water is extremely clear right now. Anything heavier than four-pound test is too much. Using two-pound will generate more strikes. A tremendous amount of pressure here keeps trout finicky. All our trout came on four types of salmon eggs. Pautzke Gold Label was our biggest ally whereas the Orange Deluxe and Yellow Jackets held their own too. The key was fishing them on a single salmon egg hook, size 10, and adding two eggs at a time, just enough to submerge the hook. We also used a bobber as an indicator, which made a huge difference. It kept the eggs flowing freely and made it easy to spot strikes even when drifting a small egg 40 feet away. The SC DNR has been planting the stream almost weekly and will for the next several months. Trout fishing will continue to be very good and we’re told the size of the fish available is poised to increase in a few weeks. Come armed with Pautzke salmon eggs and you’ll catch a few dozen like we did, hopefully a few inches larger. Editor’s Note: Pautzke Balls O Fire salmon eggs are available at most Walmart stores from Anderson to Greenville and in North Georgia. And, for other out-of-state anglers, like us, it’s only $11 for a 14-day license in South Carolina, likely the best value in America. No trout stamp is necessary.